Here we go, brownies, they seem so boring and normal and aren’t there a billion brownie recipes out there already? (This version from my girl Sarah has me wanting to try them next). Growing up, when my mom and I craved something specific, it was usually chocolate. Sometimes chocolate chips or a chocolate bar would do the trick, but I also have memories of a quick brownie box mix being pulled out, mixed up and popped into the oven for a fast batch of brownies. Boxed brownies do the trick in a pinch, but now that I’ve got a good amount of baking experience under my belt, I’ve found it’s worth the extra time to make a batch from scratch. So, it was time to find my own perfect brownie recipe, without butter or eggs. Impossible? No way! Within the last couple of years of experimenting with vegan/healthy (er) baking, I’ve had a hard time replicating a batch of brownies that I really, truly enjoyed. Each batch either comes out too dry or too crumbly, not quite fudgy or moist (that word, I know!) enough and not deemed to be a batch worth wasting frosting over. I was starting to give up hope on finding a solid, easy recipe to crown with the ‘perfect vegan brownie’ title. Behold, the recipe that changed my mind! The frosting is modified from the vegan chocolate baking queen herself, Fran Costigan, and isn’t detrimental, but extra frosting never hurt anyone. Be sure to keep an eye on the brownies, over baking can cause them to become too dry and will lose that fudgy texture, so as a rule of thumb, I underbake my brownies just slightly to prevent this from happening. Happy Monday, here’s to brownies! 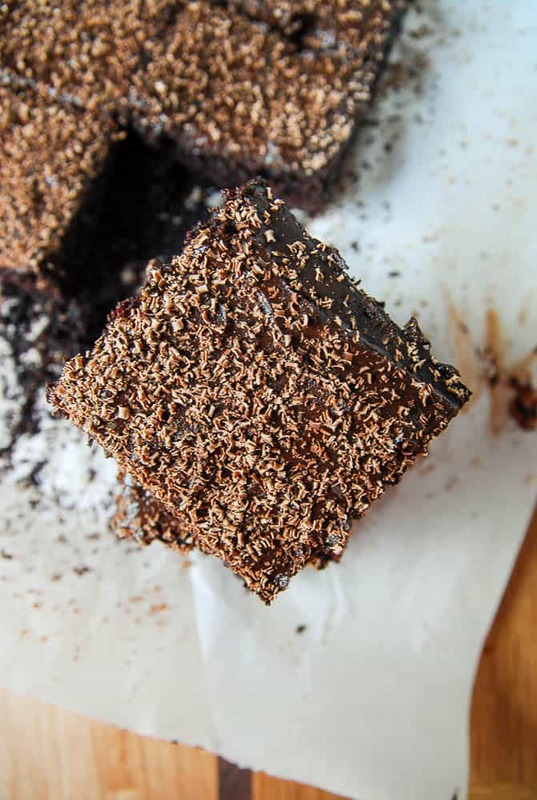 Perfect vegan brownies with a thick layer of vegan fudge frosting! To prepare the brownies: Preheat oven to 350, grease an 8×8 pan and set aside. For the frosting: Combine all ingredients in a small saucepan over medium heat. Whisk together while mixture starts to thicken and slightly bubble, this should take about 4-5 minutes. Reduce heat to low and continue whisking for another 2-3 minutes, or until frosting is thick. Let cool slightly before frosting brownies. Looks delicious! I think my brownies and your brownies should have a party, and we eat them all. 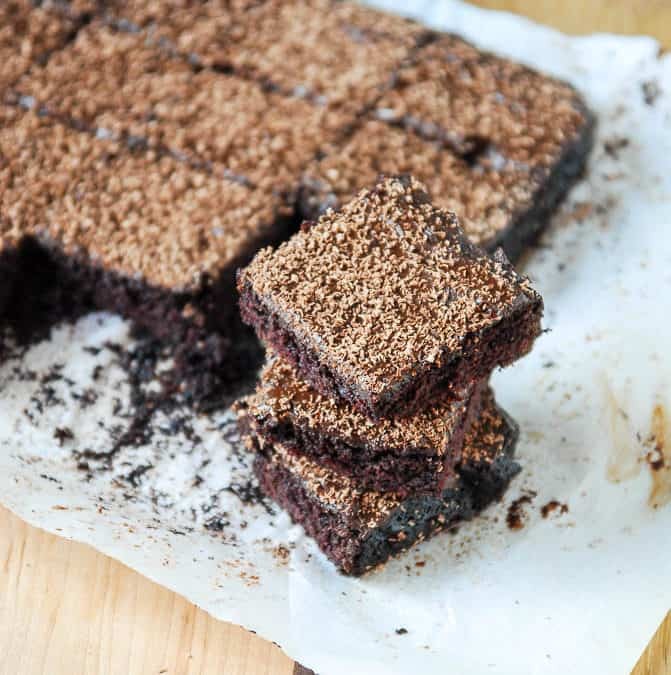 I’ve never had much luck with vegan brownies – the butter + eggs seem such a vital part – but these look so delicious and I absolutely can’t wait to try them! 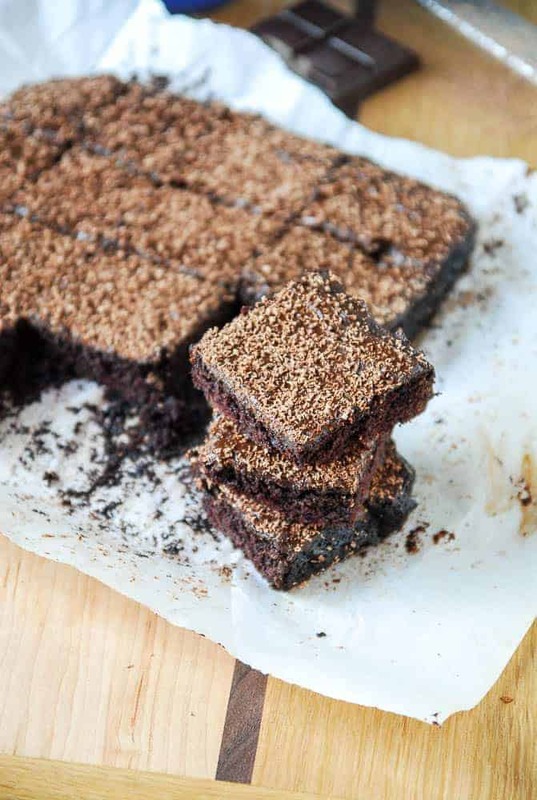 Didyouknow brownies are my all-time favorite dessert? These look absolutely phenom! This girl woke up a stress case this morning, so a batch of brownies are sounding miiiighty fine right now! Girlllll take a load off and get a brownie!! Thanks Alisa! Nearly is close enough, right?! Those look awesome! So rich and fudgy 🙂 Love the addition of frosting too, always makes things better! Frosting always makes things better, right?! 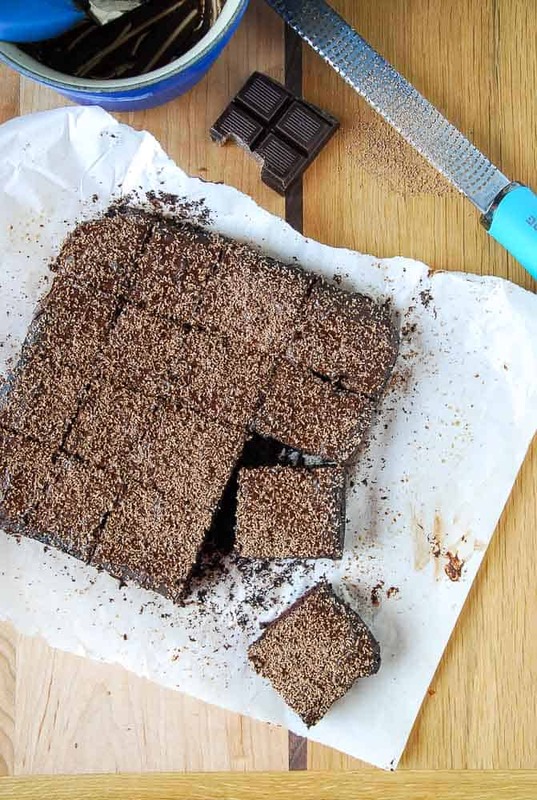 These look fantastically fudgy! Thanks for the recipe! I know what you mean about finding the perfect vegan brownie. The recipe I’ve been using sometimes comes out kind of greasy/too oily. I’m so excited to try this version – and with frosting, yum! Hooray! I hope you love it! These look so amazingly chocolaty, Abby! I’ve always leaned toward cookies when baking; however, I think I need to mix some homemade brownies into my life after seeing this recipe! Nothing is better than a rich and fudg-y chocolate brownie. You definitely have got me craving one now after seeing the images! Thanks Thalia! I love love love these! The world needs more brownie recipes. There can never be enough. And they are never boring! These look incredible. Your photos are killer! Ahh thanks girlfriend! 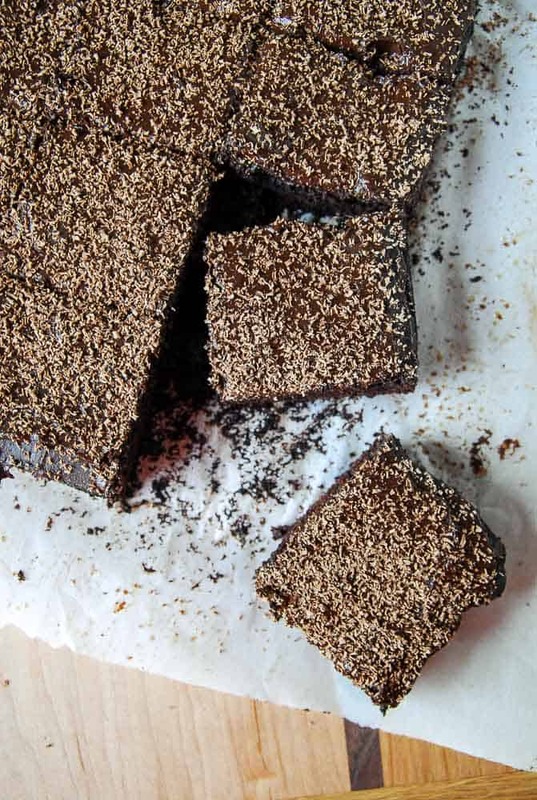 There are never enough brownie recipes, right?! Hi & Greetings from the UK. I really enjoy reading your blog. I don’t know if your have any thoughts on this question. Do you think I could substitute a different oil like Light Olive Oil or Rapeseed (think you call it Canola) for the coconut oil? Hi Nina! I would think you could substitute those, I don’t see why not! Let me know how it works out! These look amazing, has anyone tried a gluten free version ?? Do you know if I can cook them for the day after? I won’t have much more time and it would be so convenient! Hi Manon, Yes you can! Just bake them, let cool and frost when you want to!